The reason why WordPress themes exist is to make your site look different from others. You want your site to be tailored to your taste, style, and brand. If that is the case with sites, what about the login page? Shouldn’t the default WordPress login page look different too? Why is it so that people can spend money to buy themes, but do not consider spending on re-designing the login page? Why they don’t even bother to try out the free solutions for it? Especially, if they have a membership based audience or even a multi-author blog. I completely agree with the fact that this page remains hidden from most of your visitors. Why should you take the trouble in customizing a page that no one ever visits except you? I agree with all of that. But for membership-based sites, giving a different and stylish look to the login page is a must. You certainly don’t want paid members to view a default login page to access member-only content. Sure, it works, but that’s not how it should be. It’s kind of a stuck bug in a cup of strong coffee. The coffee tastes marvelous, but the bug ruins the whole damn experience. It’s settled then. In this post, you will learn about how to customize the default login page by employing different WordPress plugins. A newly installed WordPress site possesses default data as a test to show that the CMS is working fine. The reason you want to change the login page is simple – it’s default. A customized login page sets you apart from the crowd that’s my reason of customizing it. No ability to change ‘Login‘ button colors. WordPress, by default, offers no options to customize the login page, reset password page or register page for that matter. These pages are especially extremely crucial for membership sites. However, as always, there are plugins that can help! Ask anyone what is the best part about WordPress, and they will tell you how much they love WP plugins. Plugins extend the core functionality of WordPress. The ability of WordPress to let everyone build plugins is incredibly useful. As a result, there are hundreds of thousands of useful plugins. Having said that, there are many plugins to customize the login page. Rest of this post explores both free and premium plugins for this very purpose. White Label Branding is a premium WordPress plugin available for sale on CodeCanyon. Do you use WordPress to build sites for your clients? If so, often you may have wanted to customize menus and logos in the CMS. Often, you want to remove WordPress logos and promotional ‘Powered by WordPress’ messages. Turns out, you can do that and much more with White Label Branding plugin. Customize Login Page: It is an ultimate branding tool for WordPress. Aside from customizing your WordPress dashboard, you can also customize login page. You can hide Screen Options, contextual Help, Favorite Actions and disable WordPress pointers. You also have control over meta boxes on dashboard and Edit Post/Page. Advanced User Roles: There is an advanced user roles and capabilities manager too, which lets you customize what your clients see and what not. Everything your clients see on the dashboard is under your control. You can even create a “fake” administrator account and give it to your client. This makes a user appear as an admin in the Users section, but you can still limit the access. Color Management: There is also an advanced color management panel for the entire wp-admin. You can also create your own login page templates. Birds Custom Login plugin enables you to easily customize the login page. It boasts features like responsive design, custom logo, custom background, etc. Basic Features: You can also hide Register, Lost your password and Back to Site links if you wish. The custom background image can be a full screen, which will stretch to fit the page and respond to the browser size. When you hover over WordPress logo on the login page, it reads ‘Powered by WordPress.’ With Birds Custom Login, you can change that text to anything you want. Pro Version: There is also a premium version of the plugin, which bundles advanced features. Here are a few of premium features like Instant preview (with custom CSS), Import and export settings, Dedicated support forum, Transparent colors, etc. Custom Styling: This is one of the best custom login page plugins. Change background color, login button color or whatever you wish. You can even add custom CSS to target anything. 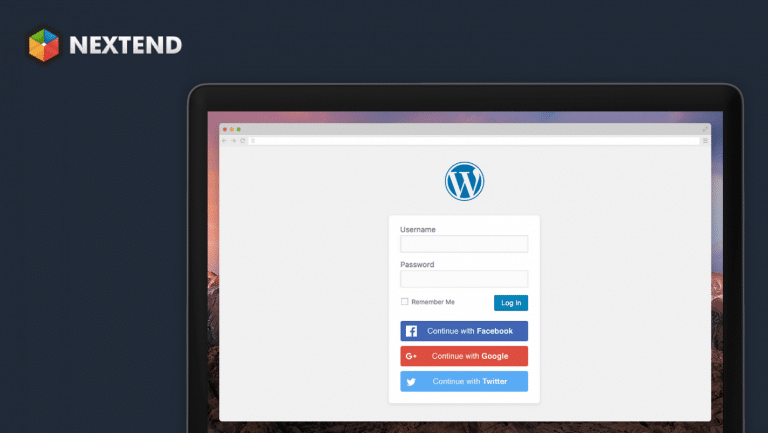 Custom Login & Access WordPress is another premium CodeCanyon plugin for WordPress. Basic Features: It offers a bunch of features including customizing default login page, adding core login forms on the frontend, restricting dashboard access for subscribers, etc. among others. This plugin may come handy in cases like when you allow users to register; you can let them do so from the site itself. No need to let them view sacred WordPress dashboard when there’s no need. Brute Force Attacks Protection: Tired of the brute force of attacks? Custom Login & Access WordPress has a captcha for registration, login and forgotten password pages. Content Restriction: It has advanced content restricting features. You can also limit logged-in users’ access to certain part of your site (posts, post types, categories, taxonomies or all content). Another useful feature is that it allows users to set their password during registration. Custom Login Page Customizer allows you to customize your login page straight from the WordPress Customizer. It is easy to use, friendly and you can preview customizations before saving! Getting Started: Install and activate Custom Login Page Customizer, go to Appearance > Customize and under the Login Customizer, you will see plenty of options. Styling and Customization Features: It lets you change the background color, fields styling, buttons styling, form background and logo. You can also set a custom CSS rules to target unspecified styling as well. This plugin has all the options you need. However, it lacks a few customization options including the inability to hide Lost your password, Back to and Register links. Premium Version: Custom Login Page Customizer has a premium version too. You enjoy advanced options like Limit Login attempts functionality, reCAPTCHA integration and Custom styling for reCAPTCHA. Login (Login Page Style) is another free solution for customizing your default login page. Plugin Settings: Once you activate it, you will see a new menu added to the left of your dashboard. It claims to provide more features than any other login page customizing plugin. reCAPTCHA Integration: It integrates with reCAPTCHA, which reduces the number of brute force attacks. You can also set a custom logo (premium version) or no logo at all. Other Features: In the free version of the plugin, you can hide the logo or set custom site logo, set the custom background color, you can change form login position ad styling and much more. Advanced Options: As with most plugins on this list, Login Page Styler offers more advanced features in its premium offering. This premium version takes the plugin’s features to the next level and unlocks many features. Tailored Login comes from the builders of popular security plugin, iThemes Security. It lets you easily build a customized login page by giving you options to customize various elements of it. Widgets: Unlike most plugins in this domain, Tailored Login goes an extra mile and lets you add widgets to the login page. Just add widgets to Tailored Login widget areas. Custom Elements and Styles: Tailored Login lets you add a custom header, background image, change form styling and do what not. You can even change font family, font size, and color of login buttons as well as Back to Site and Lost Password links. Plugin Developer Suite: This is a premium plugin and comes bundled with Plugin Developer Suite, i.e. a suite of premium plugins by iThemes Security. It contains plugins like BackupBuddy, iThemes Security Pro, Exchange Pro Pack and DisplayBuddy. The customization of a login page should not be ignored just because visitors don’t view it. The purpose is to show and practice complete control over your site both from the backend and frontend. I have written a random design plugin that updates the design every time I login. Keeps me fresh :). Well, that’s the list of plugins (both free & premium) for customizing your default login, registration, and forgotten password pages. Have fun making the best of them! Have you ever customized the login page on your site? If yes, it feels good to be able to customize that part of the site, doesn’t it? Finally, you can catch all of my articles on my profile page, and you can follow me or reach out at Twitter @mrahmadawais; to discuss this article. As usual, don’t hesitate to leave any questions or comments below, and I’ll aim to respond to each of them.